Recently in Kerala, the first Active Web Geographical Information System (GIS) service was launched for public use by the Indian Institute of Information Technology and Management—Kerala. Developed using free and open source software (FOSS) technology, a simplified version of dynamic geographical information is made available to the public. Log on to http://gis.iiitmk.ac.in/, to check out this service. So instead of watching the sky, the users can surf online and find out the forecast for a week in advance. Why would one need an expensive software or tool when the geospatial information is available on Web browsers? Yes, dynamic weather information and one-week forecast gets updated every three hours. The available geospatial information could be utilized across several dimensions—from agricultural well being to e-governance projects. Also, thematic maps provide significant information. As per IIITM-K director K.R. Srivathsan, “The institute is actively developing Active Web GIS applications for e-governance applications such as community instrumentation for agrarian prosperity, community-driven cultural heritage portals and trade logistics for farm produce”. The geospatial information is supposed to benefit many dimensions of the state-right from urban planning to business. Weather information about the mapped cities / villages of Kerala is integrated with Google Maps. Along with the thematic maps of Kerala, the 3D model topography has been developed using VRML (Virtual Reality Mark-up Language) for the 3D Web GIS. Besides mapping the state on Google maps and syncing weather information and presenting thematic maps for Kerala, people would surely be expecting a lot more to come. 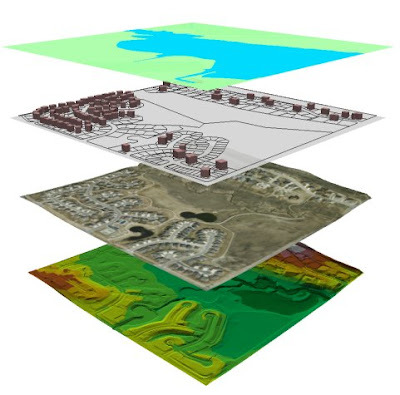 The toughest part is providing dynamically variable forecasting data along with the dynamic geospatial data actively available on the Web browser. However, counting the efforts of the free and open mapping centric Free Map community, this initiative surely has a long way to go. Kudos to the IIITM-K team for Active Web GIS!